Kik is a popular mobile-based messaging tool and is rapidly gaining huge popularity. The company claims that the active user base has been increasing constantly each month. The main advantage of the Kik is its ability to block users easily if the relevant user is constantly troubling by sending fake offers and SPAM messages. However, if you block user, the system won’t deliver any messages to the user stating the reasons for blocking. Sometimes, you will block user if you don’t have to receive any communication or messages from that user. In the same way, other users will block you for reasons unknown to you. If you block Mr. X, then you can’t send any messages to the user X and he will not receive any messages or alerts as soon as you block him. Alternatively, Mr. X can block you. If your Kik account has added over 50 users, then it will be difficult to find out which user has blocked you. In this article, we will list two methods for you to keep track of the users who block you. 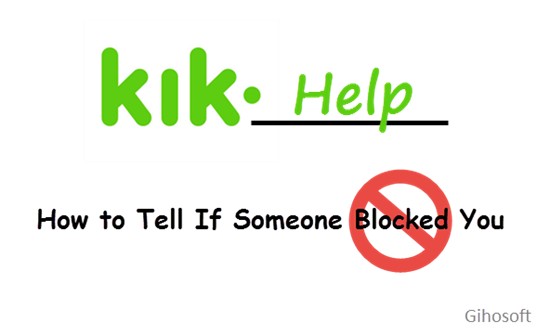 You can easily find out whether the particular user has blocked you or not by just sending a message on Kik. If you feel that someone has blocked you, then you can try to send a small message to the user; If the message is delivered successfully by Kik, then he hasn’t blocked you. You can deliver a message by navigating to the Kik app from within your smartphone and opening the chat conversation. You can then try to send a small message such as “Hello”. There are several message status you should know on Kik Messenger. 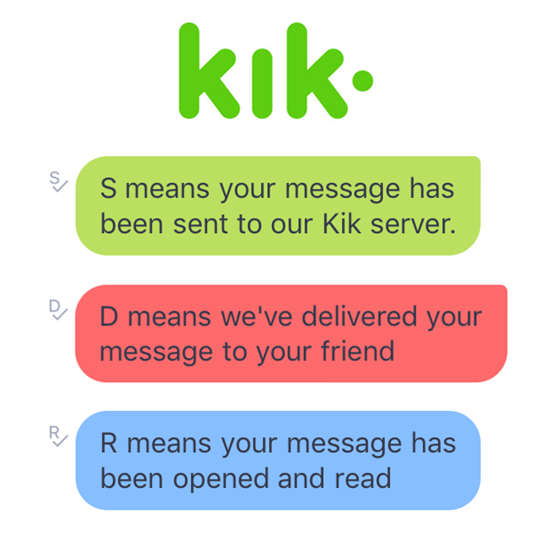 If the chat window displays S, it indicates that the message has been delivered to the Kik server successfully. If the status changes to D, then it indicates that the message has been delivered to the recipient. If the recipient reads the message, then the system will display R, which infers that the message has been opened and read. In general, Kik will display an “S” after the delivery of each message. If the status hasn’t changed to “D”, then you should note that the recipient has blocked you, as a result your message will never reach the concerned user. Alternatively, you can contact the user via other methods with a request to unblock you. 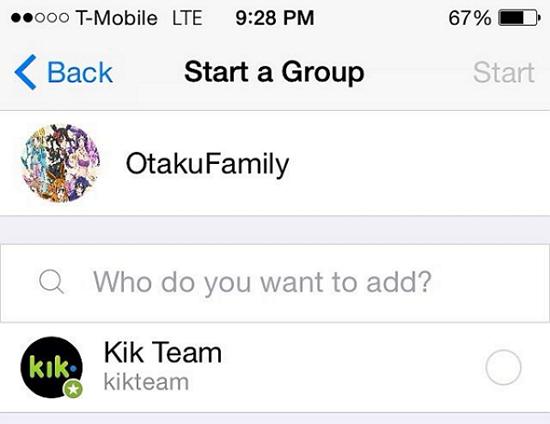 If you think that a user has blocked you, then you can create a group and add their username from the Kik app. If you are able to create a group successfully by adding the suspected user, you can infer that that particular user hasn’t blocked you. If you are unable to create a group with Mr X, the X could have blocked you. The Kik messaging app is designed in such a way to ensure that users who are being blocked can’t be part of a group. For your precious chats on Kik, it is possible to back up all your Kik messages including attachments from your iOS device to PC or Mac by using the third-party software Gihosoft iPhone Data Recovery. We hope that you have now understood the various methods by which you can check whether users have blocked you or not.